If you’ve been thinking about moving to Bluffton, SC, here are just a few reasons that may convince you the time is NOW! Check out the following accolades and awards bestowed upon our beautiful town.. and our favorite resort community in Bluffton, Palmetto Bluff. Forbes Magazine named Bluffton one of the “Best Places to Retire in 2016” (April 2016). Huffington Post/Travel Section featured Bluffton in an article, “Visiting Sweet South Carolina.” (May 2016). “Only in Your State,” named Bluffton #1 in its list of “10 Up & Coming Cities in South Carolina Ready to Explode” (May 2016). Topretirements.com website named Bluffton the 4th “Friendliest Places to Retire” in its Top 10 List. (2016). Money Magazine named Bluffton one of the Top 20 Places to Retire in 2015, also naming Bluffton “Top Waterfront Retirement Destination” within the Top 20 list (June 2015). 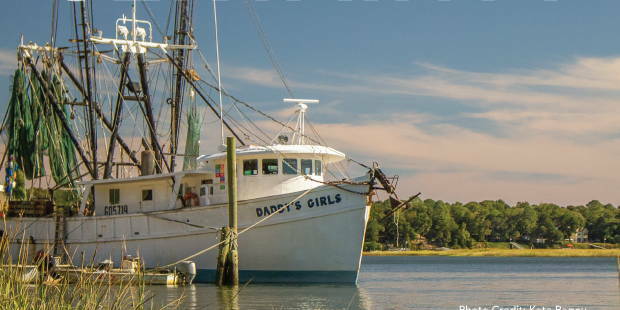 Garden & Gun Magazine named Bluffton a “Southern Dream Town.” (June/July 2015). Niche’s named Bluffton one of the 2015 Best Places/Safest Towns in South Carolina. Niche.com named Bluffton #3, Best Towns to Raise a Family in South Carolina (2015). Forbes Magazine named Bluffton one of the Top 25 U.S. Cities for Retirement (2014). Family Circle Magazine featured Town Councilman Larry Toomer, his family and his family business, Bluffton Oyster Company (June 2014). Southern Living Magazine selected Bluffton as the site for its 2014 Idea House. The Huffington Post named Bluffton its #1 destination for its list, “Ten Amazing Non-Beach Alternatives for a Summer Getaway” (2014). Only in Your State, The 18 Wedding Venues in SC Which Are Perfect in Every Way, #10 Rose Hill Mansion; #14 Palmetto Bluff (2015). NerdWallet, a consumer advisory company, named Bluffton one of the ten “Cities on The Rise in South Carolina,” (2014). NerdWallet, a consumer advisory company, named Bluffton one of the ten “Top Cities for Homeownership in South Carolina,” (2014). Movoto, a real estate web-based service, named Bluffton one of the “Safest Places in South Carolina,” (2014). Bluffton’s Farmers Market named “Most Celebrated Farmers Market in South Carolina,” by American Farmland Trust (2015, 2013 & 2012). Bluffton’s Farmers Market named #1 in South Carolina in the following five categories (People’s Choice, Focus on Farmers, Healthy Food For All, Pillar of the Community, Champion for the Environment) (2015). Bluffton’s Farmers Market named 11th best in nation by American Farmland Trust (2013). Bluffton’s Highway 46 designated a “South Carolina Scenic Byway,” by the South Carolina Department of Transportation (2012). Don Ryan Center for Innovation/Clemson Technology Village; Bluffton was the first non-metropolitan town in South Carolina to partner with Clemson University to form a private-public Technology Village (i.e. business incubator).